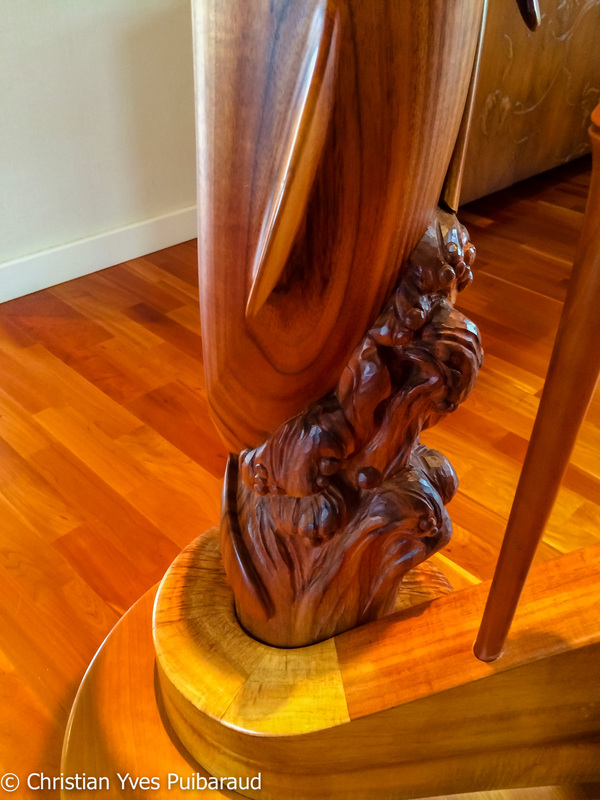 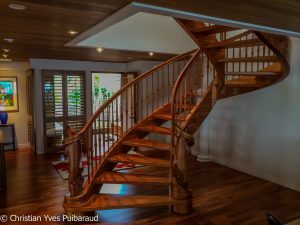 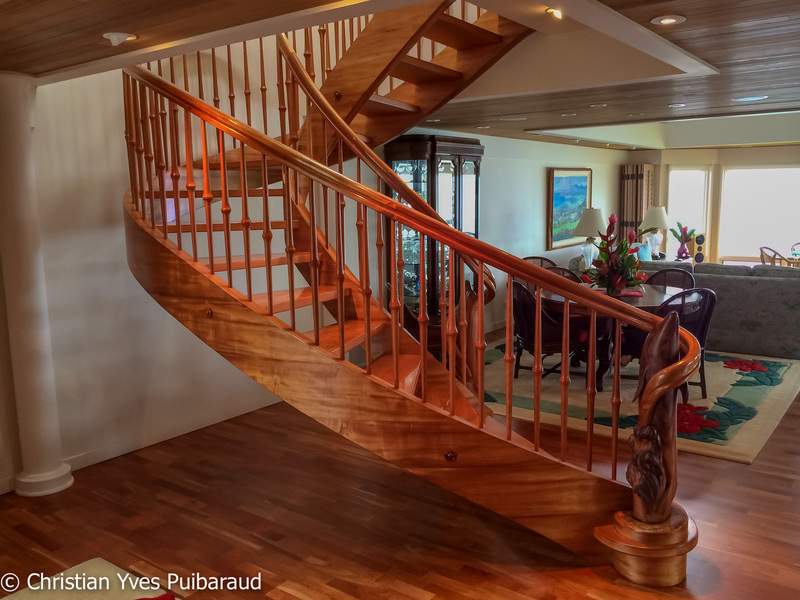 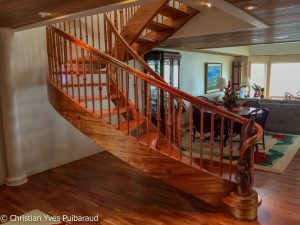 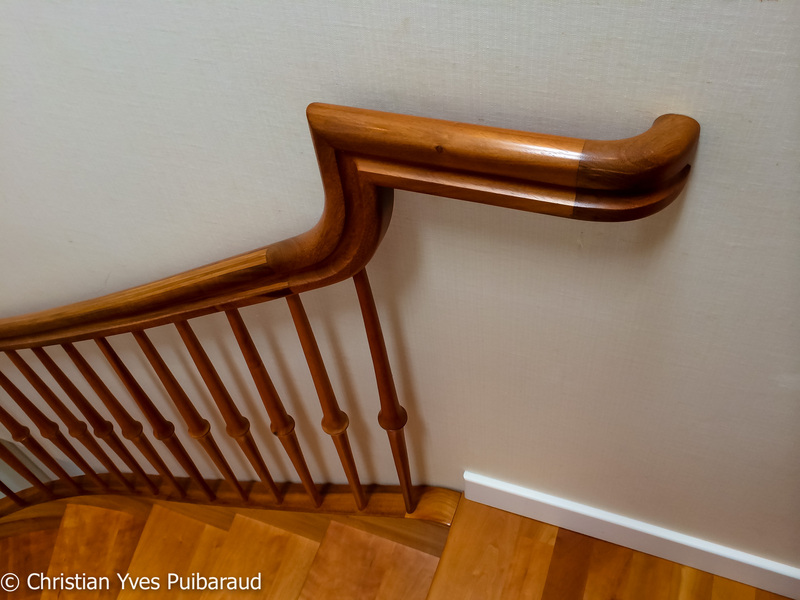 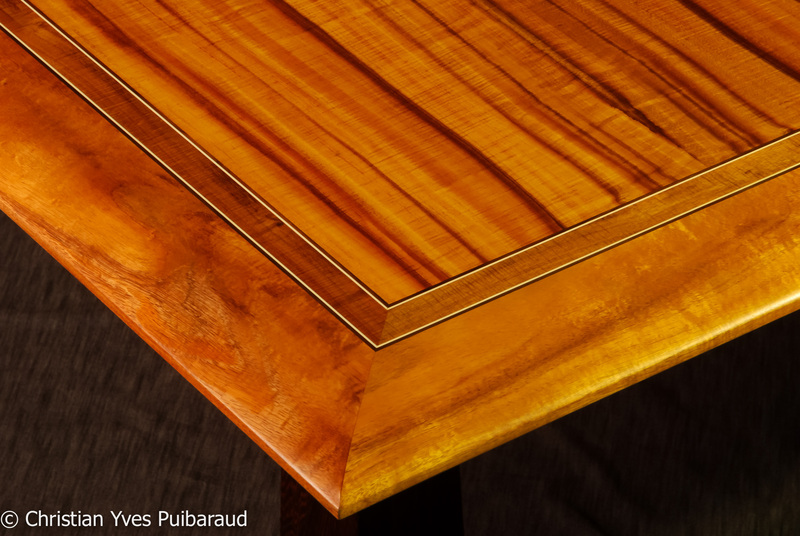 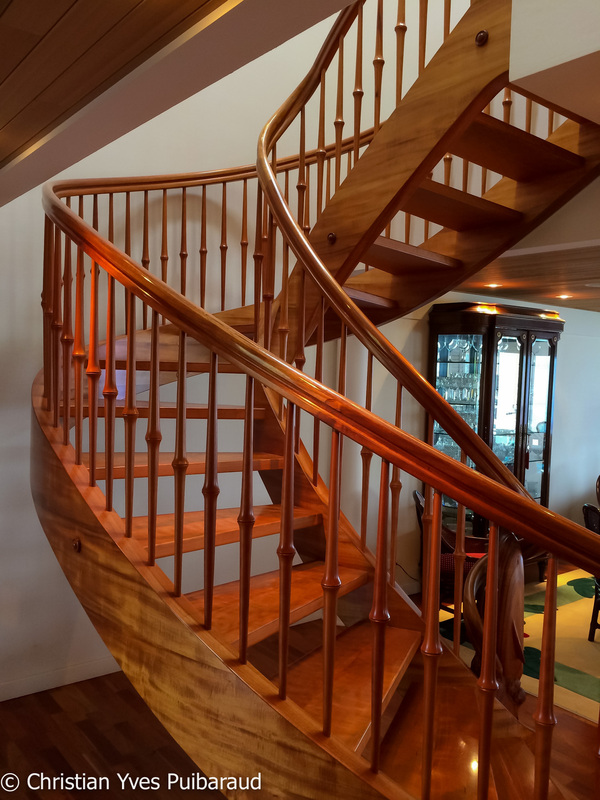 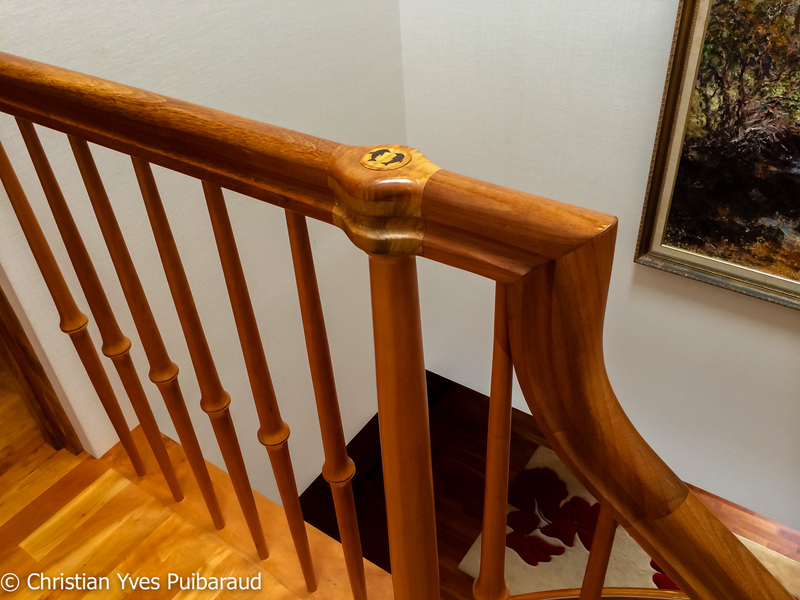 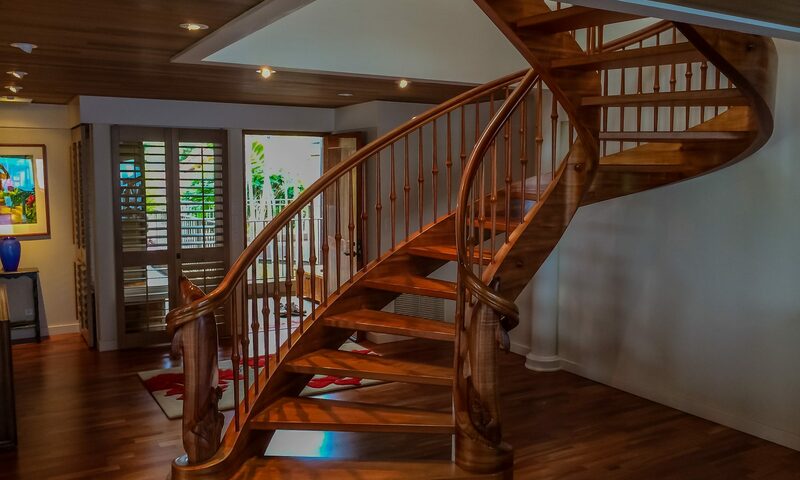 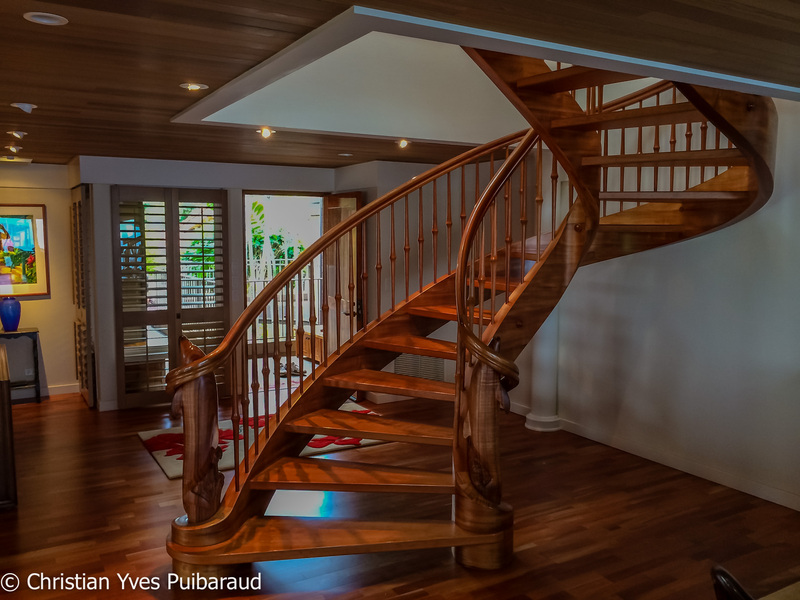 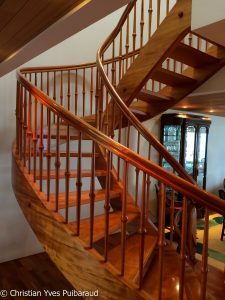 My first staircase was made in Koa with Cherry balustrade. 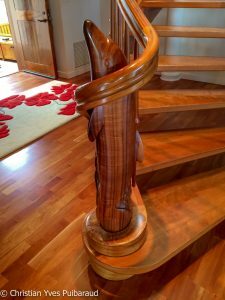 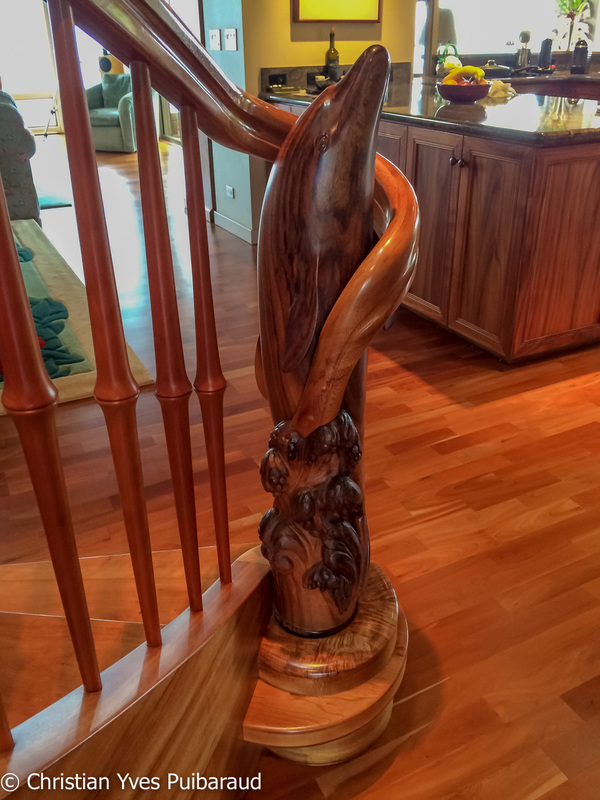 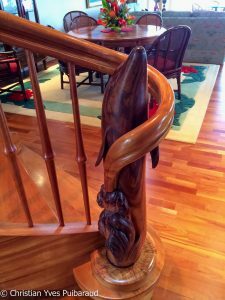 Two carved dolphin newel post. 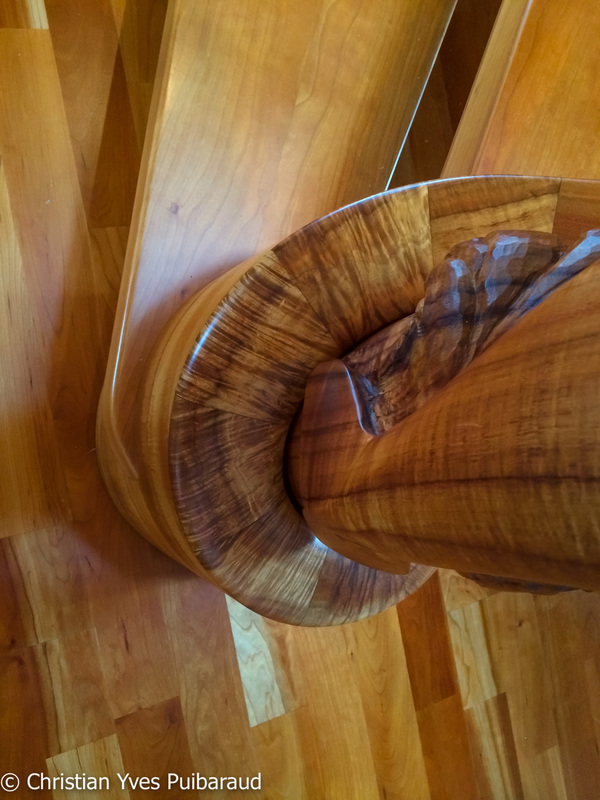 Double helix stringer with Cherry treads.